Are you ready to sit back and enjoy the ride in a relaxing way? Is it a dream or an accomplishment that is welcomed? Is it a reality that exists or is an illusion, leading many people to question what this technology is about? Yes, we are highlighting the achievement of the trucks manufacturing industry that has designed the self-driving trucks that brings relief in the life of drivers, especially truckers. What is a self-driving trucks? Will the Autonomous Trucking Solve the Drivers Shortage? As the term self-driving is self-explanatory that means a vehicle that itself has the capability of handling the operations and control while cruising on the road or a highway. The modern technology in a self-driving trucks combines cameras and radar to manage the speed and lane position within the highway environment. However, a licensed driver must be in the seat and be alert always in order to take control if conditions change. If it is necessary to transit out of autonomous mode like if an exit point is coming up, the truck’s system alerts the driver with enough time to comfortably take control. In fact, the technology is reflecting a much-advanced cruise control system. Let’s talk about the technology that is designed and built in self-driving trucks that makes them different from other vehicles. A self-driving trucks has a supercomputer that is built to transmit the sensor data to guide the algorithms that adjust the braking and steering system. Hardware that includes drive-by-wire box is set to turn the computer’s output into physical truck-control signals. It is done through the help of motors installed, called as electromagnetically actuators (a type of motor that is responsible for moving or controlling a mechanism or system) that is fixed to the truck’s mechanical steering, throttling, and braking systems. Safety is the biggest question for every person. How can a several ton self-driving trucks be safe? Self-driving technology could potentially reduce accidents caused by driver fatigue and distraction. Drivers can be tired and stressed while driving for hours but self-driving trucks are computers that are free from human emotions. During the recent years, the active safety features are started to be equipped by the world’s largest truck manufacturing industries that include automatic braking and lane control as discussed above. Most of the world’s famous automobile corporation like Mercedes, Volvo, and Otto have performed the testing of shipment by using their self-driving trucks and are in a continuous process of adding more autonomous features to their trucks in order to make it a driver less, but that can take some years or a decade. Expenses can considerably be decreased due to the automation. For trucking companies, the cost of fuel is the big part to deal with. The option to implement vehicle platooning with automated trucks reduces 10% of fuel consumption. Vehicle platooning is when trucks drive close behind one another to utilize the road better and save time, fuel and emissions. It is the fact that emissions can reduce by up to 20% with this practice as various reports say. The air drag can reduce by adjusting the distance between the trucks with having communication of the vehicles with each other through radar, GPS, and Wi-Fi. When the gap between each truck is closed, decreased wind resistance is then experienced by the vehicles that result in better fuel economy. There is still a need for a human driver to be inside the vehicle. The self-driving trucks are having a feature of Highway Pilot system that uses forward-looking stereoscopic cameras and radar sensors when cruising on the highway. The truck has an ability to steer to stay between lane markers, adjust its speed and can maintain a distance behind the other cars while the driver is free to do other things. Not all the time’s drivers are free, they need to monitor all non-highway cruising, negotiating into loading bays, looking after the conditions during snowfalls that may have an impact on the settings of the sensor and supervising the Highway Pilot. This technology is attracting tech-savvy drivers to the industry with the benefits of reducing stress and fatigue. Along with the benefits, the opportunities for the unemployed workforce has been increased. 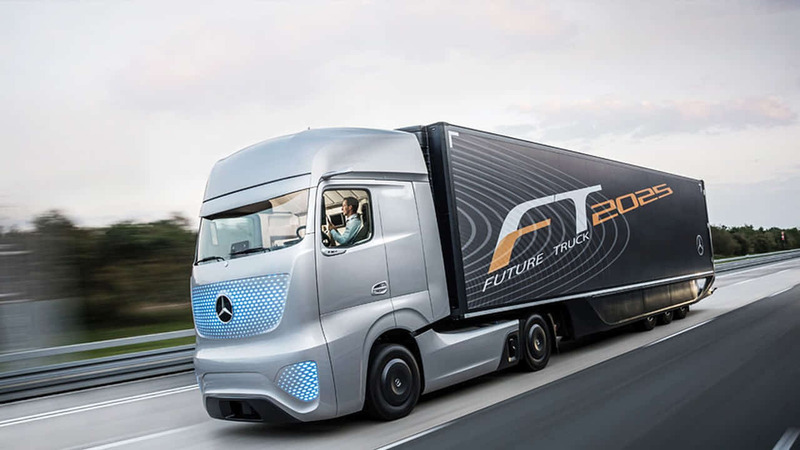 It is necessary for the industry to realize and bring more improvements to the self-driving trucks from the aspect of safety that must be potentially significant, requires re-engineering that brings a reduction in fuel consumption which may lead to the lower shipping cost. The point is, truck manufacturing industries have reached the phase of transformation where the trucks would be driving themselves on a specific routes or highways. It is something that may be possible in just the next few years. How this technology could be exactly deployed, whether on some commercial transportation roads or on a public track. By the platooning technique, the trucks can navigate on highways in a row, it can then let drivers sleep on the back or get engaged in some other work in fair weather conditions, but still, self-driving trucks need a driver on board to handle complexities like distorted rural roads, city driving. The deployment of a truck’s self-operation can only be possible from one hub to another right on the highway. When these uses of the technology are deployed, a reduction in fuel use per mile itself could be seen by the industries and a reduction in an insurance cost. Given the competitive nature of the trucking industry, much of the savings generated by innovative technology would be passed on as lower shipping costs. The jobless workforce may get the opportunities due to the automation in transportation with no stress or fatigue while traveling for long hours on the highway with hassle-free driving as still the existence of driverless trucks can take some years or a decade. While the road to completely autonomous vehicles is still long but over the short term, it is expected that semi-automated vehicles will lead the way, specifically trucks on the highways.